SCC’s Learning Center at Plattsmouth, located in the historic Dovey Building downtown, is available for your training, workshops or meetings. Consider using our facility for your educational purposes! Your organization may submit a written request (e.g., letter or email) to the facility coordinator requesting use of a College space. The written proposal must be submitted at least 30 (thirty) days prior to the proposed use. The Learning Center Coordinator will be available to provide rental fee information, clarification and guidance to the group requesting use of the space. 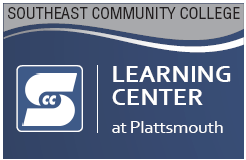 Learning Center Coordinator, 402-437-2298 PlattsmouthRegionLC@southeast.edu. A major responsibility of a comprehensive community college is to provide access to its resources, including the use of facilities to the community it serves. The highest priority for use of the facilities is assigned to functions directly related to instruction and the primary mission of the College. SCC reserves the right to limit and/or deny requests for use of College facilities.